The False Claims Act requires any individual who has knowledge of a company committing fraud to receive payments from the government to report that action though a Whistleblowers lawsuit. This Act, also known as the Lincoln Law, was first established during the Civil War by President Lincoln to stop war time profiteering. It has remained in effect since that time, with only a few amendments that allowed it to include all entities doing business with the government. As this law developed over time, it began to encompass any company that receives payments from the government. 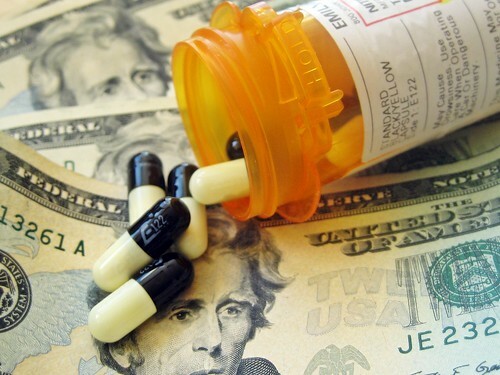 At this time, pharmaceutical companies and medical professionals are one of the largest recipients of government payments through Medicare, Medicaid, and other government based medical care programs. Pharmaceutical companies have also been one of the largest industries charged with committing fraud to receive payments from the government. What Types Of Actions Constitute Fraud? The following list contains some of the more common whistleblower cases associated with pharmaceutical companies. The list is not all inclusive, therefore if you suspect that fraud is being committed, you should consult a whistleblower lawyer like Goldberg Kohn who has experience helping people report cases of government fraud. Overcharging For Products. When the pharmaceutical company singles out the federal government and charges higher prices for their products or services, this is an act of fraud. However, it must be proven that the company is specifically targeting the government for higher pricing. False Data. Supplying the government with false data about their product in an effort to get the government to purchase or fund the research for the product. Ineffective Product. Providing products to consumers that do not work and knowing that they will not produce results. Double Billing. Charging the government repeatedly for the same products or services. If you have knowledge that a pharmaceutical company is committing fraud against the government, it is your duty to report this information to the government through a Whistleblower Lawsuit. You will need to hire an attorney that specializes in whistleblower cases to help you make the claim. When you file this type of lawsuit, you are suing the company on behalf of the government. As a taxpayer, you have the right and duty to make the company stop wasting your hard-earned tax dollars. If the prosecution is successful in prosecuting the company and money is awarded back to the government, as the Whistleblower you will receive a portion of the recovered funds. The only thing that you must remember is that you must have valid proof that this type of action is taking place. Your attorney will evaluate your evidence and help you determine if you have a case to present to the U.S. District Attorney. Once the case is presented, and the government wins the case, you will be monetarily awarded for your efforts. As a taxpayer, you know how frustrating it is to see government money wasted. Being able to stop this waste not only benefits the government, it benefits the people who fund the government. If all the fraudulent charges were eventually stopped, the tax burden on U.S. citizens could be lessened. Valerie Stout Cyrus is a freelance writer who frequently researches cases of fraud against the government. She found that Goldberg Kohn assists whistleblowers in developing their claims and going to trial against entities that commit fraud against the government including pharmaceutical fraud.